All Material Is Free To Use For Whatever Non-Commercial, Non-Profit Purpose. As a family the three of us have talked about the idea of doing the right thing. My two children have named the two hospitals were they were born. All three of us are hoping that there may be some individuals out there somewhere who would consider possibly supporting and contributing to the maternity wards in these two fine outstanding hospitals. If we are able, supporting these hospitals is one of the causes that we plan and hope to support with a portion of whatever funds we are able to possibly generate as a result of our efforts in the short term as well as in the long term. The doctors and staff at St. Joseph's Hospital saved my Son's life. I am forever grateful. St. Joseph's Healthcare Hamilton is dedicated to helping the people of Hamilton and South Central Ontario enjoy a healthy future. Along with supporting the maternity wards at West Lincoln Memorial Hospital and St. Joseph's Hospital, we are interested in supporting Department of Pediatrics and McMaster Children's Hospital as one of our most important goals. I would like to thank Hamilton Health Sciences for the help they have given to me since 1998. Hamilton Health Sciences is comprised of a family of five unique hospitals and a cancer centre. A special thank you to my family physician for her care, tireless work and dedication to her profession. Copy, Save, Post, Print & Share the content of this website. and international copyright, intellectual property and other laws. 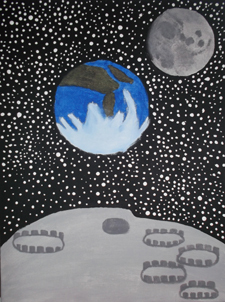 the Moon and the Earth. you will have to obtain expressed written permission. charity or charities, or worthy causes. This condition is without exception. As a direct result of my Failed Project's experience. My Failed Project's page is where I discuss how our joint copyright interests are protected and how any and all potential future revenue generated made possible by our previous collaboration effort are to be divided equally even if me or my estate are not directly or indirectly involved in those future efforts to generate revenue. In the event our commercial agreement is terminated you agree that you are solely responsible for any and all lost work time and any and all expenses that you may have incurred. You agree that you have no claim to any potential lost future royalties or income that you would or might have earned if you had completed your commercial venture with me before the news of the Object's detection was announced. the terminated commercial agreement I had with you. are without exception and unappealable. If you use our images please do not remove the website address. without prior notice or written agreement with me. 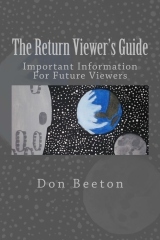 This so that you have copies for yourself and so that you can ensure that you will have the ability to share the Return Viewer's Guide with other people on an ongoing basis. At our sole discretion we may change, supplement or amend this agreement from time to time for any reason and without any prior notice or liability. will have accurate basic viewing information that you can depend on and trust in. Help those around you to see. and important for people living in the future.